We take a look at Fuel Cell vehicles sales performance in 2017, after the introduction of the Toyota Mirai in 2015, FCEV's are on their Year Two, more or less where EV's were in 2012, so if they follow the same growth curve as plug-ins, we should see this technology reach 100.000 sales this year. Well, did it? At 3.382 units registered this year, up 46% YoY, it is well below that, so...2017 was not the year that FCEV's took off. Toyota Mirai - 2.689 Mirai were registered in 2017, a 32% increase over the previous year, but below expectations. I had thought the model would be selling around 1.000 units/month, so...Why the slow sales? 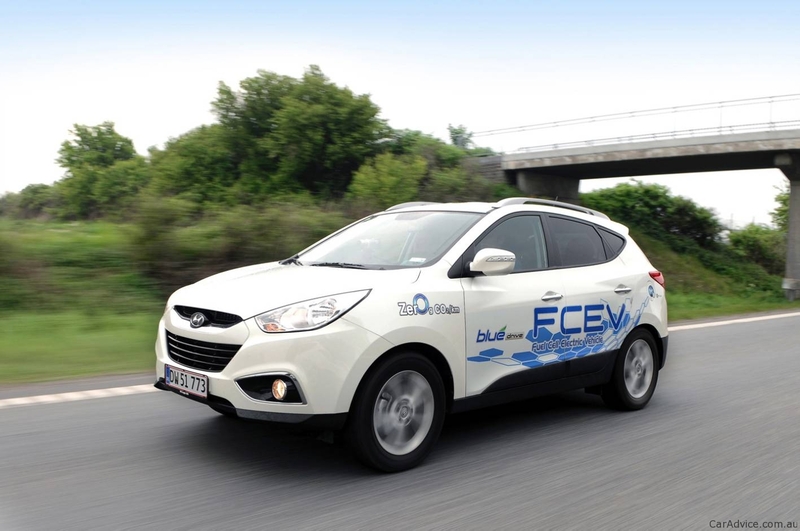 Hyundai ix35/Tucson FCEV - Numbers of the Korean Fuel Cell were up slightly (+6%) regarding 2016, with 169 units being registered this year. A discontinued model in its ICE form, and currently being done by special order, it is waiting for its Nexo sucessor to finally retire. In the UK the problem with FCEVs is the lack of hydrogen infrastructure. The problem with Hydrogen is the fuel. It is as expensive as diesel and is no energy efficient. Due to all of the steps involved in making Hydrogen useful. Toyota went to the dark side when they canceled the electric Rav4, gave us the Mirai and moved their US HQ to Texas!